IM Video Image Capture is a incredible video image capture software, you can easily capture any frames from any videos. Free Mac video capture software. Record video from a web cam, video capture device, video screen capture of your entire desktop or a selected portion save recorded video to avi, flv, wmv and more video file formats. Given a folder, LightBox Video Web Gallery Creator generates HTML Photo and Video gallery with a slideshow for you website. Video Column and Video Web Part are powerful controls made for uploading, managing, linking and playing video files. Capture Video from capture card, tv tuner, dv cam, dvd player to AVI or WMV 9, WMV8 file format.Draw multi overlay image, text on live video or save to video file. Support motion detection,drawing freehand line, circle, rectangle,add video frames. 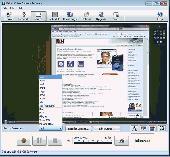 Super Free Screen Capture is an all-in-one software for screen capture. You can capture screen in many ways, including full screen capture, region capture, window capture, scroll capture, directx capture, video screen capture, sound record and etc. Super Video Screen Recorder is a easy to use and powerfull video screen capture software for recording screen activities into standard avi video files. The file size is very small. You can record any part of the screen video. An easy-to-use video frame capture software. Take frame snapshots from almost all kinds of video files, editing them, save them as BMP, JPG, PNG images, and can even rebuild frames to make animated GIF animation or image galleries. Debut is a free screen video recording software for mac. Record videos from your screen, webcam or other video devices. Capture your entire desktop or a selected portion and save the recorded videos as avi, flv, wmv or other video file formats. 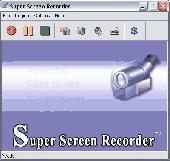 Super Screen Recorder is a easy to use and powerfull video screen capture software for recording screen activities into standard avi video files. The file size is very small. You can record any part of the screen video. 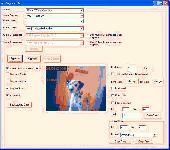 ELVideoCapture ActiveX DLL is a simple and easy video/audio capture solution. The library allows you to capture stream from any video source devices like webcams or tuners, organize online video-broadcast over Internat or Intranet. Capture Video from capture card, tv tuner, dv cam, dvd player to FLV, iPod, PSP, AVI, WMV video. Draw multi overlay image, text on live video or save to video file. User define transparent color, alpha value. Draw overlay time stamp, rotate video. Capture Video from capture card, tv tuner, dv cam, dvd player to FLV, iPod, PSP, AVI, WMV video.Draw multi overlay image, text on live video or save to video file. User define transparent color, alpha value. Draw overlay time stamp, rotate video. Capture WebCam is a simple video capture software application which can be used to capture video from any capture device such as a TV tuner card or web cam. infallsoft Screen Capture including full screen capture, region capture, window capture, scroll capture, directx capture, video screen capture, sound capture and etc. Micro Video Capture is a poweful tool in video capturing. It can capture video and image with high-quality in high-speed. ImTOO Video to Picture for Mac is multifunctional picture capture software to batch extract pictures from various video formats, and save as static pictures, GIF animation, Flash, or HTML. You can preview the extracted images in the picture list. Flash Video MX Std is to help you to place your video on your personal web pages, eBay auctions, company websites and blogs with ease. You can encode Flash videos from AVI, MOV, MP4, VOB, 3GP, FLV, F4V, etc. with fancy player and special effects. With a very easy to use interface A4 Video Converter can convert video formats, extract audio from video files and extract images from video files, or capture video clips. How to take a snapshot of your video? The program lets you take snapshots directly from your movie. This means you can go to any point within a video clip, capture a freeze frame picture, and save this image to your hard drive.